The Day Lincoln Was Shot. Courtesy of TNT. Now that Steven Spielberg, Tony Kushner and Daniel Day-Lewis have crafted the most historically accurate and stunningly authentic film ever made about the 16th president, it’s worth taking a look back at how Honest Abe has fared throughout cinema history. He looked like a ghoul in a Halloween mask before a bullet entered his skull in D.W. Griffith’s vital yet obscenely racist 1915 landmark, “The Birth of a Nation.” John Ford’s 1939 classic, “Young Mr. Lincoln,” placed the larger-than-life lawyer (Henry Fonda) in an entirely fabricated plot that illuminated aspects of his personality and ambition (it was more of a dream about Lincoln than a biopic). A year later, Raymond Massey delivered his iconic portrayal (popularized onstage) in John Cromwell’s “Abe Lincoln in Illinois,” which suffers from too much self-conscious speechifying. The most effective sequence stages the infamous Lincoln-Douglas debates, with an uncharacteristically fiery Gene Lockhart going toe-to-toe with Massey, whose voice and demeanor served as somewhat of a precursor to Day-Lewis’s spellbinding performance. 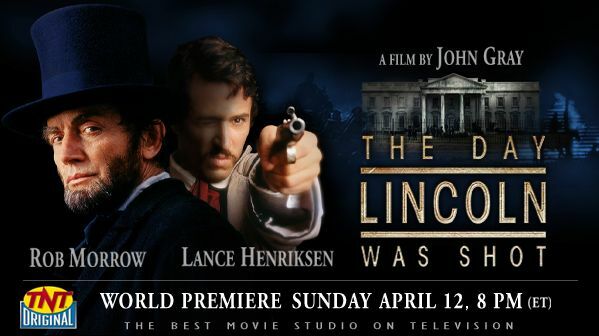 Yet the film that continued to linger in my mind ever since its initial premiere was John Gray’s 1998 TV movie, “The Day Lincoln Was Shot,” a nail-biting, well-researched account of the events that occurred in April 1865 culminating in the president’s assassination. Rob Morrow portrays John Wilkes Booth not as a one-note monster (though he does have a Travis Bickle moment in front of a mirror) but as a prideful Southerner horrified at how his entire way of life has been destroyed by the agenda of a tyrant. Morrow is gifted at humanizing the delusions of an arrested psyche (check out his uproarious work in Albert Brooks’ “Mother”), and here he nails the simmering hysteria of a man attempting to maintain his swagger as the earth shifts beneath his feet. 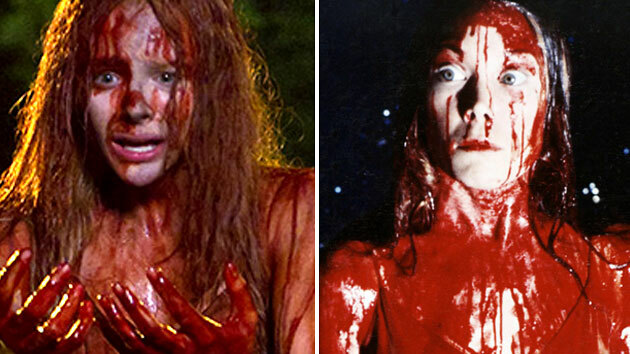 It’s easily the most complex portrait of Booth committed to film. Before Day-Lewis graced the screen, the actor who best captured the look and behavior of Lincoln was Lance Henriksen, an enormously versatile character actor perhaps best known for playing the trusty android Bishop in James Cameron’s “Aliens.” As Lincoln, Henriksen speaks softly in a low register, while conveying the weariness of a man whose journey through hell has aged him several centuries in only a few years. When he learns that the war has finally ended, his reaction isn’t jubilation but extreme relief coupled with remorse over what had been lost in order to achieve victory. He doesn’t consider himself a hero or a saint and appears uncomfortable in the presence of his admirers. It’s a subtle, beautifully nuanced performance that makes the impact of the film’s inevitable final act all the more heart-wrenching. Fun fact: Jim Bishop’s book of the same name was originally performed as a live television play in 1956, with Jack Lemmon as Booth and Raymond Massey reprising his role as Lincoln.